Approximately 1.5 million people were murdered in Poland alone during WWII, with the Nazis mercilessly killing six million Jewish people from countries across the world, as well as five million Roman gypsies, homosexuals, disabled people, and prisoners of war. From the minute the Nazis entered Poland, the attack on Jewish people had begun. The Nazis arrived in Krakow on September 6, 1939, and immediately changed the lives of Jewish people, depriving them of state pensions, imposing compulsory disclosure of foreign bank deposits, and demanding people between the age of 14 to 60 embark on forced labor. 75,000 Jewish people were removed from their homes and forced to live in the ghetto, with slums situated across 16 square blocks. With a third of Krakow’s population living within the walled ghetto, food was as scarce as mercy. Only people with money could access the ghetto’s black market to purchase unavailable items. Krakow became the capital of the Generalgouvernement (General Government) and was one of five major ghettos across Poland. The ghetto was situated on the right bank of the Vistula River in the Podgórze district, and it became known as ‘Krakow’ or ‘Podgórze Ghetto,’ stretching across a 50-acre space that featured one and two-storey buildings. In the 17 days leading up to the resettlement, the 3,000 original residents were forced to move from the district to make way for 16,000 Jews, which proves the little space Jewish people had to endure during their time in the ghetto. However, approximately 2,000 more people illegally entered the ghetto, believing they were safer behind the ghetto walls than in front of them. One apartment block was allocated to four families inside the ghetto, which meant the average person had two square meters (21 ft2) of space. However, it was not just overcrowding that provided a problem for Jews, they were deliberately made to feel oppressed, as windows facing the city were boarded up to prevent outside contact. 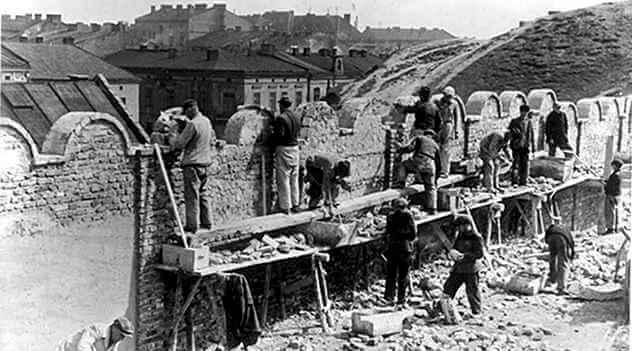 One of the most dominant features of the ghetto was the 3-metre-high (10 ft) wall, which was installed across the ghetto’s confines. Sickeningly, the walls were crowned with arches to resemble their tombstones. The people of the ghetto were helpless, and they would have felt it every day of their lives. In 1941, Hitler originally authorized the mass murder of 11 million Jews, but it was on January 20, 1942, that SS-Gruppenfuhrer Reinhard Heydrich, the head of the German General Security Office, chaired a conference on the matter in Wannsee, Germany. It was here that the fate of Jewish people in the Third Reich territories was decided, with the delegates agreeing to the deportation of Jews to death camps. This marked the beginning of the mass genocide, and the plan was effectively implemented on June 3, 1942, following an agreement between Reichfuhrer SS Heinrich Himmler and General Governor Hans Frank. The world-scale genocide was given the code name “The Final Solution of the Jewish Question,” which estimated the murder of approximately 11 million Jews under the agreement. The fate of the Jewish people in Krakow and beyond was sealed. The mass killing of Jewish people had, however, already begun prior to the agreement, as both the SS and German Army had already embarked on the extermination of Jewish people in Serbia and the German-occupied Soviet Union. 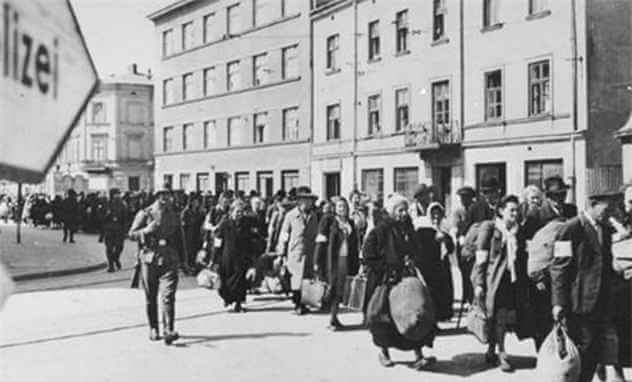 The Krakow Ghetto experienced two significant deportations. 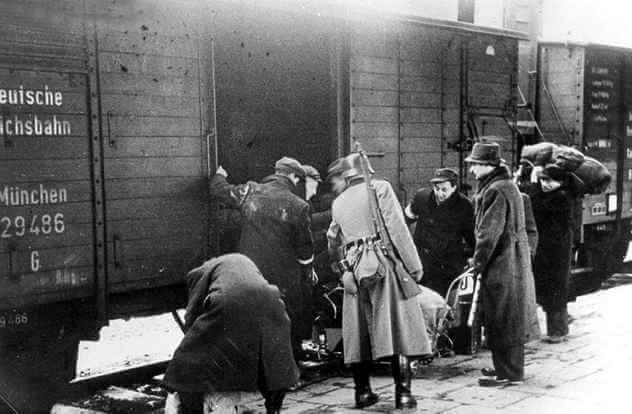 7,000 Jews were deported via Plaszow to the Belzec death camp between June 1 and 8, 1942, with 1,000 of the Jews murdered before the train continued its journey to Belzec. Another 6,000 Jews were deported from the Krakow Ghetto by the SS and police on October 27 and 28, 1942, killing 600 people during the deportation process—300 of the innocent victims were Jewish children. Tragically, not a single deportee survived the death camp. Two resistance groups existed in the Krakow ghetto by 1942: the Akiva group, led by Aharon “Dolek” Liebeskind, and another group of fighters led by former soldier Heshek Bauminger. Following the mass murder of Jewish people in the Chelmno killing center, and the deportations of thousands of Jews in June 1942, the Jewish fighters decided it was time to fight back against the Nazis. The leaders, therefore, enlisted the help of courier Hela Shüpper to contact other Jewish resistance groups in cities such as Warsaw, Rzeszow, and Tarnow, sharing information and smuggling weapons into the ghetto. Shimshon Draenger also led the creation of a forgery workshop to falsify documents and papers. 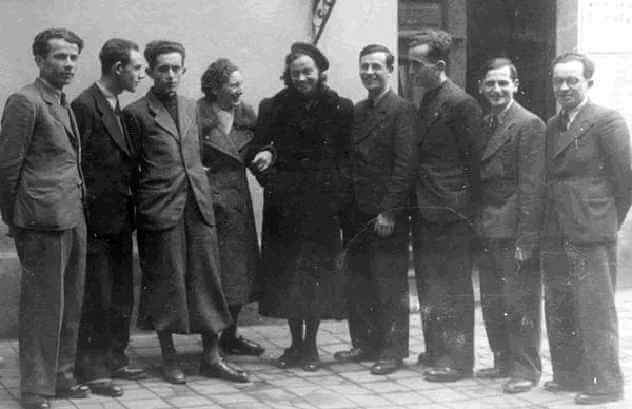 After the two mass deportations of Jewish people from the Krakow ghetto, the two resistances groups came together to form the Jewish Fighting Organization (JFO) in October 1942. Over the next few months, the JFO raided German warehouses, sabotaged railway lines, and attacked both German soldiers and the security police. After careful planning at their base outside the ghetto, the JFO orchestrated a series of attacks on German forces throughout Krakow, throwing grenades into cafes where German officers dined, as well as distributing anti-Nazi leaflets, sabotaging police and army vehicles, assassinating German soldiers, and raising Polish flags across the bridges over the river Vistula. Unfortunately, the German authorities succeeded in their massive manhunt to find the fighters. Tragically, the Gestapo discovered Liebeskind’s hiding place, but he didn’t go down without a fight, as he was tragically killed in a shootout. The following day, Bauminger met a similar fate. Undeterred, the JFO continued to fight against the Nazis, distributing Anti-Nazi leaflets, continuing with their sabotage, and encouraging Jewish people to flee to the forests. 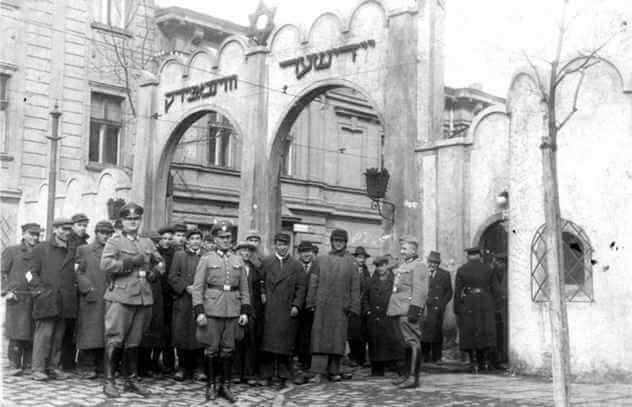 Ahead of the liquidation, Jews who were refused the right to stay in the Krakow ghetto were gathered for deportation at Zgody Square, which is now known as Bohaterow Getta Square. Those who did not have a stamp in their job cards to confirm their employment by a German company were deported to Belzec. A crowd of people stood on a horse-drawn platform. From the balcony above The Eagle Pharmacy, which stands to this day, the Gestapo took photographs to provide evidence of the resettlement, which was to prove they were humanitarian in their treatment towards Jews. Tragically, after the photographs were taken of the crowd, the Jewish people were chased off the platform, with many beaten during the action. The coachmen were also dismissed from their duties, and the Jewish deportees were sent to the railway station in Prokocim for transportation to the death camp. The Eagle Pharmacy was an anomaly in occupied Europe, as it could continue its operations day and night following the erection of the Krakow ghetto. The owner was Tadeusz Pankiewicz, who was the only gentile permanent resident living in the ghetto. The pharmacy became the hub of intellectual activity from the moment the ghetto came to existence, with professionals, scholars, and artists meeting in the pharmacy’s basement. It was at The Eagle Pharmacy that residents would share news from the front, discuss everyday issues, or comment on war communiques. They also arranged dinners to the music by brothers Leopold and Herman Rosner and would host scientific and political debates. Once the ghetto’s post office closed, residents would transfer letters, money, and news from within the pharmacy. In fact, Tadeusz employed additional staff to act as intermediaries. The pharmacists were: Irena Drozdzikowska, Aurelia Danek, and Helena Krywaniuk. Many residents also sought refuge at the pharmacy during night raids, whilst the front and back entrances that led to the courtyard helped save the lives of many Jewish people. When the deportations started, Tadeusz distributed sedatives, cardiac medicines, and wound dressings without charge, which were delivered to physicians and nurses. Many Jewish people visited the pharmacy as the last point of contact before the deportations to leave a message or valuables for relatives and friends. Tadeusz also specially commissioned a cabinet from a joiner to save ten old precious Torahs in a secret vault. Following encouragement from many of his friends from the ghetto, Tadeusz published his memoirs in 1947, which was called The Pharmacy in the Krakow’s Ghetto , and he also served as a prosecution witness at the Nuremberg Trials. Tadeusz Pankiewicz kept his pharmacy open from the beginning to the end of the Krakow ghetto’s existence, and it continued its operations until 1951 when all pharmacies became nationalized. He worked as the pharmacy’s manager until 1954, before he asked to be moved to a different pharmacy at 29 Listopada Street. Tadeusz was also bestowed with the title Righteous Among the Nations. 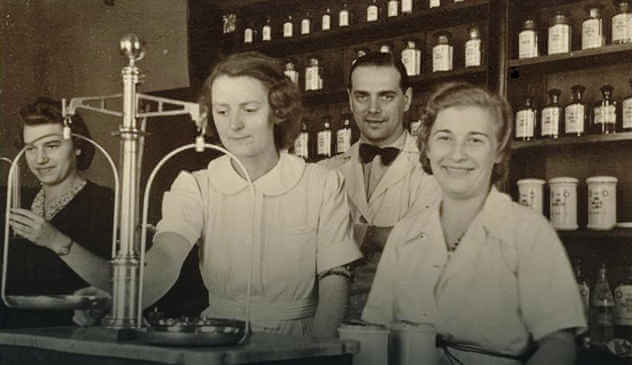 The Eagle Pharmacy closed its doors in 1967 but, thanks to the efforts of Tadeusz’s colleagues and friends, it re-opened as a Museum of National Remembrance in 1983. The building now serves as a branch of The Historical Museum of the City of Krakow. Following the June and October mass deportations, a squad was assigned to steal Jewish furniture and valuables, which were sent to a storage area at Jozefinska Street. Once the empty flats were “cleaned up,” the ghetto was ready for a new settlement of Jewish people. 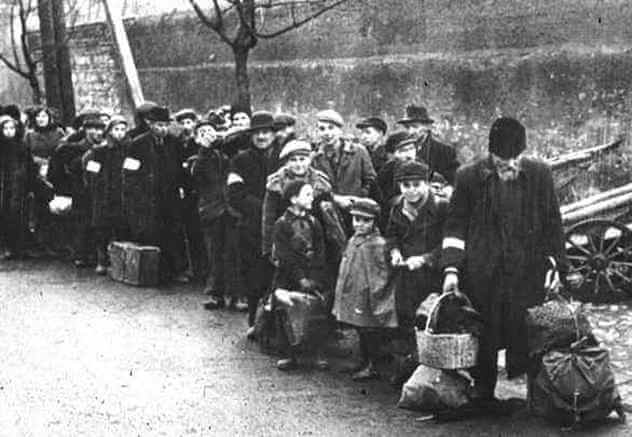 In December 1942, more Jewish people were transferred to the ghetto; however, this time it was divided into two sections: Ghetto A and Ghetto B.
Ghetto A was allocated to the working Jews, whilst Ghetto B was for other Jewish people, such as non-workers, elderly people, those suffering from an illness, and children aged up to 14. Little did the Jewish people know that the division was in preparation for the final liquidation of the Krakow ghetto. Tragedy would strike the Krakow once again on March 13, 1943, as SS Oberfuhrer Julian Schemer ordered for the liquidation of the ghetto to be undertaken in two phases. That same day, 6,000 Jewish people from Ghetto A were sent to the recently constructed Plaszow labor camp. The next day, Ghetto B was liquidated, with 3,000 people killed during the action, while the remaining residents were transported via lorries to Auschwitz-Birkeneau. The members and the families of the Jewish council, as well as the Krakow ghetto police force, were also sent to Plaszow. From the 3,000 people sent to Auschwitz-Birkeneau, only 499 men and 50 women were sent to the forced labor camp in Plaszow, whilst the remaining individuals were mercilessly murdered in the gas chambers. Between September and December 1943, nearly all Jewish people at the Plaszow labor camp were tragically killed in a series of mass shootings. 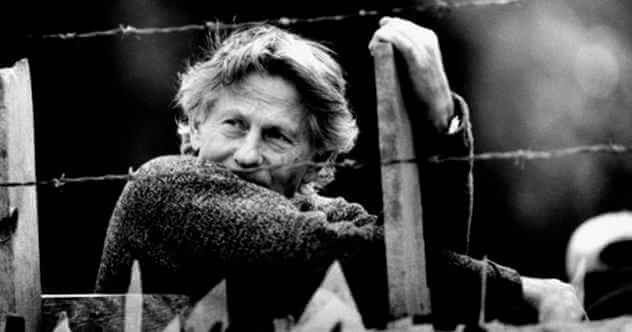 Roman Polanski’s family moved back to Krakow in 1936 and were living in the city when the Germans invaded Poland at the start of World War II. The Polanski family was moved into the Krakow ghetto, along with thousands of Jews. During the deportation of Jewish people to concentration camps, Roman watched as his father was taken away from the family. His mother was deported to Auschwitz and was murdered not long after her arrival. Tadeusz Pankiewicz was not the only person to be honored with the title Polish Righteous Among the Nations. There are 6,706 Polish men and women who have been recognized as Polish Righteous following WWII. 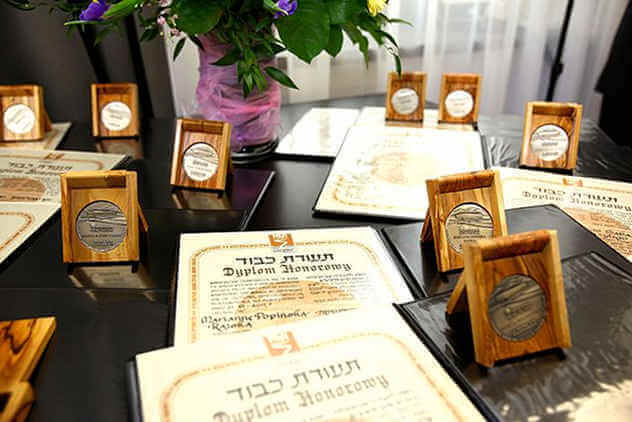 They were recognized for selflessly helping Jewish people during World War II. Engraved on the medals is the inscription “whoever saves one life, saves the world entire.” These people not only helped Jews in the ghetto and in Krakow, but across Poland. It was their bravery that helped to secure the future of many Polish families. Plac Bohaterow Getta, known as Plac Zgody Square during World War II, was the center of the Krakow ghetto. It was the place residents would go to escape their overcrowded housing. Yet, it was also the scene of one of the city’s greatest horrors. At the square, thousands of families were torn apart as the Nazis ordered mass deportations to concentration camps. Jewish people were also cruelly beaten and executed in the open space. Following the final liquidation of the Krakow ghetto, all that was left of the residents was the furniture, luggage, clothing, and personal items they were forced to abandon. It was an image that would later come to define the square. Once World War II came to an end in 1945, Plac Zgody’s name was changed to Plac Bohaterow Getta, which aptly translates to Ghetto Heroes Square. A small monument was erected in their honor, yet the square was later only used for public toilets and a parking lot. After experiencing many decades of neglect, a new iconic design was created in Plac Bohaterow Getta in 2005. 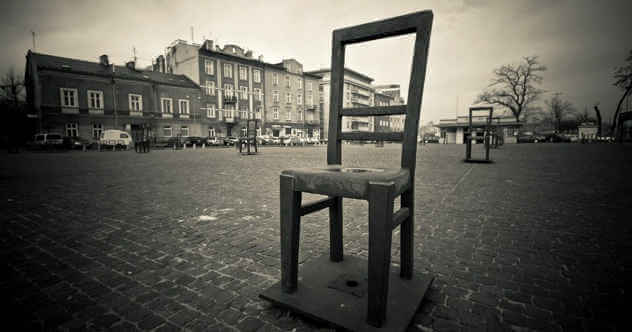 Seventy well-spaced chairs now stand in the square to symbolize the departure of Jewish residents from the Krakow ghetto. It now serves as a memorial to the ghetto’s victims. Elisabeth Sedgwick is a freelance writer from Liverpool, England. You can read more of her work here. Read stories of surviving the Holocaust on10 Survival Tricks Used During The Holocaust and 10 Amazing Women Who Fought The Nazis.